In an hour, I'll be experiencing my first lash lift procedure. Basically, it's a viable alternative to lash extensions. I can't tell you how many times I've read accounts of women who claim that lash extensions were the best thing that ever happened to them. They save time, compliment your face and give you doe eyes without any effort. I've had lash extensions before, twice. But honestly, they don't really compliment my small eyes and hooded lid. If I had large, almond shaped eyes, I would live in lash extensions, but unfortunately, I have to try another route. That's when I heard about the Lash Lift technique. 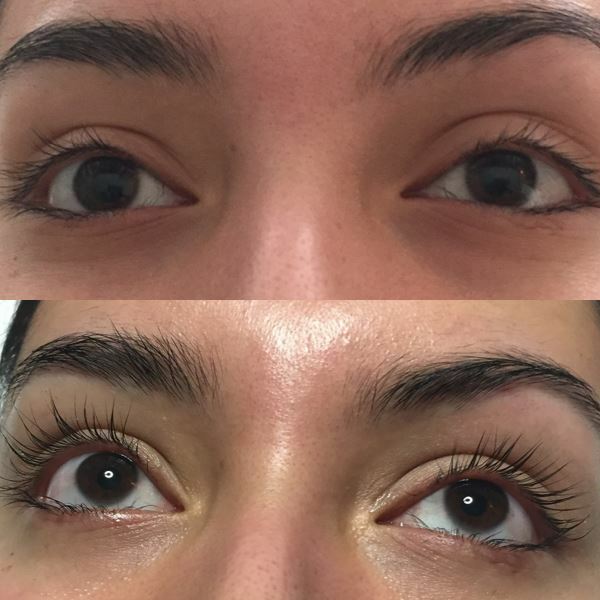 The woman who will be doing my Lash Lift described it as giving your lashes that post curler lift (all the time). Simply put, it'll be your lashes, only better and more dramatic. The results aren't permanent, they last around 6-8 weeks. But if I can walk around looking like I have naturally robust lashes, I'll gladly do it. I love the look of long natural lashes but I could never achieve it without tons of mascara. That's ok for evening, but I still want visible lashes for no makeup days. And, when I do use mascara, the lashes will be even more dramatic! The procedure takes about about an hour and prices range. I've seen some places offer it for $100-$150. I was fortunate enough to find someone locally who charges around $75.00. This method is ideal if you have long straight lashes that point outwards. Unfortunately, I have short, somewhat curly lashes so I'm not quite sure what to expect. But, if my natural lashes are more visible without makeup, I'll be a happy gal. Oooo how exciting! How did it turn out?! Can't wait to hear how yours turned out. My esthetician just told me about this service and I'm very interested.